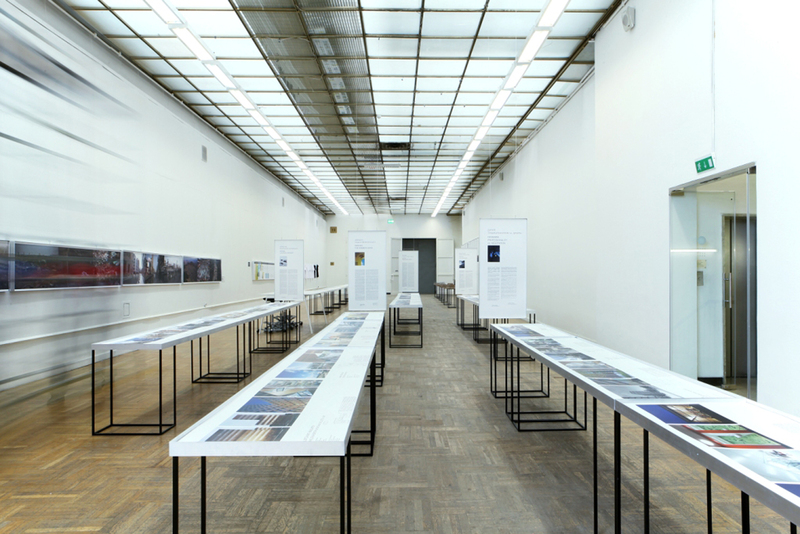 The exhibiton consisted of five parts, presented by invited guest curators from Sweden, Norway, Denmark, Finland and Estonia – each of them giving their answers on how a contemporary Nordic identity is expressed in the architecture of their home countries. The inlusion of Estonia was important, and added complexity and a widened understanding to the idea of what “Nordic” is. This young Baltic country, in an ongoing search for an own identity, has the recent years to a large extent oriented itself towards the Scandinavian neighbourghs in their quest to repair broken links to nature and urban traditions. Three of the curators; Daniel Golling (FORM magazine, Sweden) Anders Melsom (CONDITIONS magazine, Norway) and Villem Tomiste (architect and curator, Estonia) participated at the exhibition opening and contributed with lectures where their selected projects were their understanding of a northern identity were elaborated to the Biennale audience. The exhibition was the end result of the questions PROJECT BALTIA raised to the Nordic curators. At the same time, it was just as much a starting point of a broader discussion, challenging not least Russia, where the exhibition was presented, to come with answers on their own identity. – Should not Russia, in recent years apparently weary of the truly Eastern, kitschy, and garish luxury of the individual locations against the background of its remaining vegetation, listen to the proud but humble northern voice that is also — a geographical fact — part of the country? finalizes Vladimir Frolov, editor-in-chief of Project Baltia.